Think about some outdoor places you both like to visit. It might simply be your local park, a beautiful park in the centre of town you like to walk around, a hiking route, or a secluded spot by the river. It can be somewhere you enjoy visiting regularly or somewhere new you’d like to visit. TIP: If you’ve never been to your chosen location before, plan a quick trip there on your own first to work out the best spot to sit so you don’t need to waste time looking for the ‘perfect spot’ when you arrive. A bit of thought goes into planning a picnic. Careful consideration of the venue you go to and food you take demonstrate how much you care about the person you take. In the Southern Hemisphere, Valentine’s Day is in the summer, so generally the weather is pretty good. 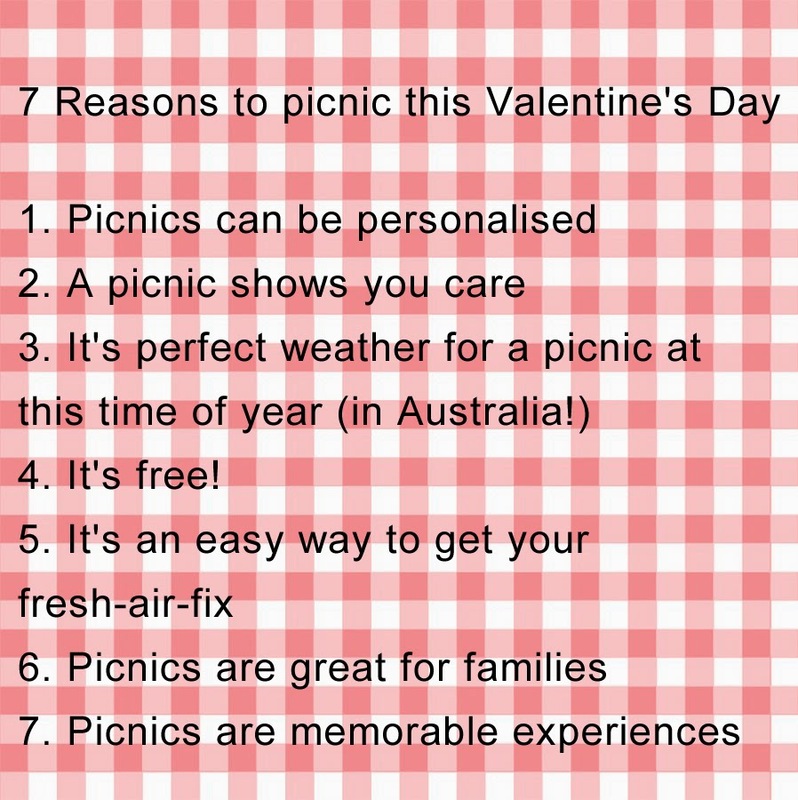 If you’re in the Northern Hemisphere, you can still plan a picnic outdoors, but have a contingency plan (car, pub, sheltered area) in case the weather turns bad. Sharing a walk with a hot coffee might be the best way to keep warm! Apart from the cost of the food and getting there, a picnic doesn’t have to be an expensive experience. Eating, drinking, and spending time in the great outdoors can be one of the simplest ways to relax and enjoy each other’s company. Our first Valentine’s Day celebration after our eldest daughter was born was a picnic. It was much easier (and cheaper) than getting a baby sitter and we all enjoyed it. Kids of all ages love getting outside. If your kids are going too you might want to select a location close to a park or with an open space so they can kick a ball around. The picnic we went on with our daughter is fondly remembered because of an ambitious bird that decided to steel our baguette (still in plastic bag). My husband relentlessly pursued the bird around trees and under bushes until said baguette was recovered. It still makes me laugh thinking about it. Salad – Greek, Caesar, or simple green salad. Be careful using leaf-based salads as these wilt quickly in hot temperatures. Consider grain-based salads (rice, quinoa, couscous, etc.) as well as veggie salad such as potato and roast pumpkin. Cake, cupcakes, muffins, or homemade cookies (they don’t dry out as much as cake). Popcorn – the healthy alternative to chips and you can make it at home quickly and cheaply. Condiments – tomato sauce, mustard, etc. can be decanted into smaller containers that could potentially live in your picnic basket or bag. For something special, grab that jar of pickles or chutney you bought at the local Farmer’s Markets a couple of months ago. This will work well with roast meats and cheeses. Butter or margarine for bread. Water – even if you’re drinking coffee and wine it’s important to stay hydrated (especially on hot days). You can jazz if up by adding ice and flavouring it with lemon, lime, mint or watermelon. 1. Picnic rug - You can pick these up cheaply in most discount department stores (such as Target, Kmart, Big W, etc.) or just take a blanket/large beach towel from home. I leave my picnic rug in the boot of the car now as it’s handy to pull out and sit on whenever we’re outdoors. 2. Eating utensils (plates and cutlery) – Purchasing a good set of outdoor/picnic gear could be a good investment if you plan to picnic frequently. However, you can pick up sets of disposable plates, cutlery, etc. from most supermarkets. Disposable utensils mean no washing up! 3. Picnic bag/basket – Like the utensils, it might be worth investing in a picnic bag or basket that you can keep stocked for impromptu outdoor fun. Bags (especially totes or backpacks) are more comfortable to carry if you need to walk. 4. Glasses – quality glasses are essential if you’re planning on enjoying a nice bottle of champagne or wine. Glass (although nice) is not essential as you can get some high quality plastic glasses, such as the Plumm Outdoors glassware range. Just avoid drinking nice wine out of a plastic tumbler, or even worse - a foam cup. 5. Ice packs and coolers – Refreezeable ice packs are great for keeping food and drink cool and safe to eat. However, resealable bags filled with ice will do a similar job. A cool bag, for food and drinks (such as the Built Wine Tote) are also a great way to insulate food and drink. Ice packs also act as a ‘cushion’ around food and prevent things from getting squashed or falling over and spilling. 6. Sharp knife/scissors – these invariably come in handy for opening packets or slicing meat and bread. 7. Cutting board – a small plastic cutting board always comes in handy for slicing bread and meat. 8. 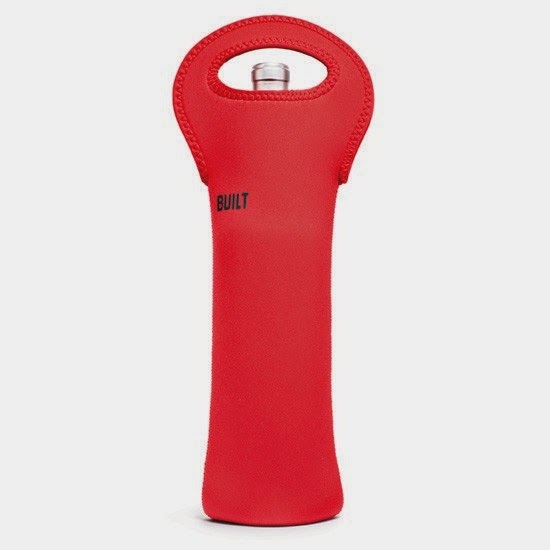 Corkscrew – although many bottles have a screw-top these days, one of life’s great frustrations is a lovely bottle of wine with a cork and no corkscrew. 9. 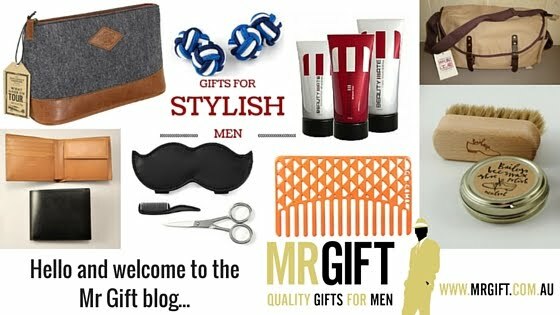 Serviettes – we always keep a pack of tissues and wet-wipes in the car, just in case. 10. Entertainment – You can simply enjoy each other’s company, but a pack of playing cards or a board game can enhance the experience even more whilst you relax and enjoy your glass of wine. 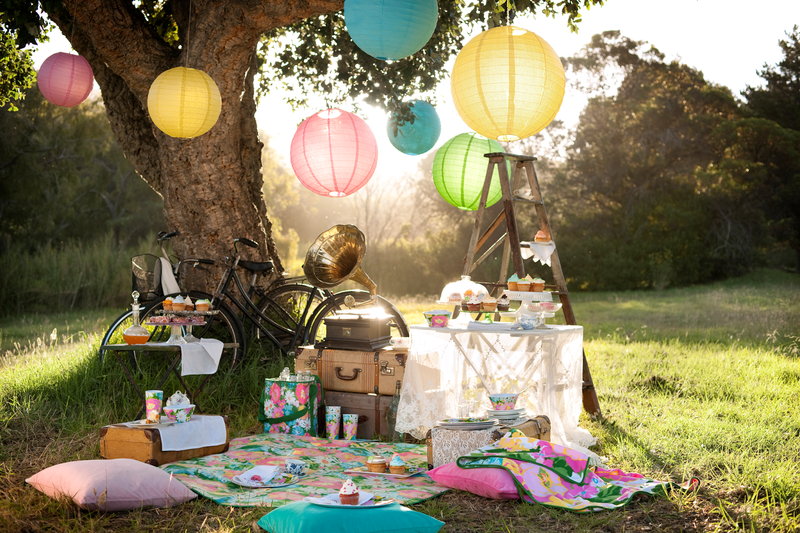 What is your favourite picnic spot and what foods do you take on a picnic?